The Pack Reducer will help reduce centimeters taking this bottle once a day. The pack contains several products for their preparation. 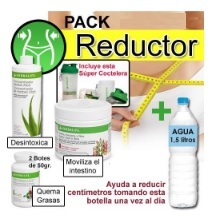 The Pack Reducer combines several products Herbalife: 1 Concentrate Aloe Vera, 2 concentrated herbal thermogenic (tea) and 1 active fiber apple and 1 Super Shakers. This drink popularly known as Chupa belly is preferably taken in the morning, if possible a part of it before breakfast. Aloe Vera Concentrate (1 bottle). Aloe vera has a high detoxifying and purifying power, which helps eliminate toxins and waste. Concentrated herbal thermogenic (2 bottles). This concentrated herbal antioxidant properties and provides thermogenic, green tea own. It is also low in calories and low in carbohydrate supplement. This concentrate help you to increase metabolism and burn fat. The fiber (1 jar) stimulates intestinal motility helping to purify the body. Moreover, this product helps treat constipation. Well now that you know what it is, how it is prepared and how it works, you need to know if it is really effective in controlling your weight. Is it really effective in controlling your weight? The fact that the effectiveness or not to contorlar your weight, your metabolism and depend on the context in which you consume the supplement. Not the same consume only do so within a diet + exercise plan. Recalls that such methods are just to control your weight. 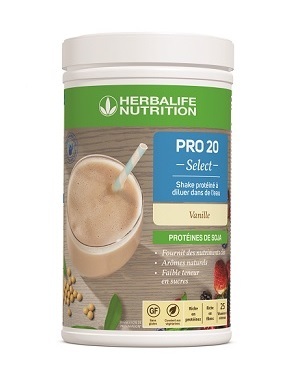 For more effectively you will accompany a Plan Herbalife Nutrition and Physical Activity Daily. But not only helps to control weight, if you feel you need to debug your body because you've eaten too much or feel heavy, then the bottle will be ideal.